If you’ve been within 100 feet of an Abercrombie & Fitch store you will know that the brand is keen on fragrances. Upon crossing the threshold, customers are greeted with a blast of scent that is as strong as the lights in the store are dim and the store assistants themselves are annoyingly attractive. Their fragrance is as much a part of the brand’s ethos as healthy, clean living is and their scents embody Abercrombie & Fitch’s pure and muscular spirit with boldness and effervescence. A&F have, for the first time, widened the distribution of one of their fragrances, their latest one in fact. It’s called First Instinct and it’s housed in a tactile, wibbly-wobbly bottle that is not only really cool, but also more than just a bit evocative of the washboard abs boasted by their models (not that I’ve been paying much attention to their chests, mind). The scent itself is billed as an oriental fougère for men that has been created to “set pulses racing”. What’s more, it promises an opening accord of Gin & Tonic, a fact that had this tipple-prone blogger rather intrigued. Let’s sniff. The opening is a bracing cocktail of melon with a vodka-like vibe. I’m not sure if it reads G&T in a literal sense but there’s definitely a piquant, juniper-like feel in the top notes that is entirely reminiscent of a nice sip of something sparkling, bitter and cold. The melon adds a touch of dewy sweetness that blurs things a little, allowing little clouds of fruitiness to drift softly to the bottom of the glass. So far so good! 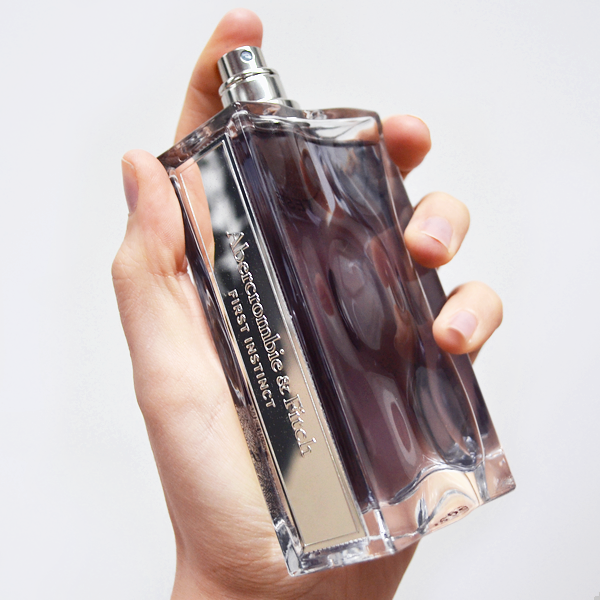 In the heart, one of masculine perfumery’s staple ingredients, the violet leaf, takes over. I like violet leaf because it’s a complex ingredient that manages to smell sweet and earthy, much like violets and green leaves, but also boasts a unique aquatic facet that smells distinctly grey. In First Instinct, the violet leaf brings a steely warmth that is sharp and cutting, but also cosy and soft. It’s a nice touch and it’s the key element that links the scent to the fougère genre. Again, so far so good! As it dries down, First Instinct shakes off a lot of its bitter, steely and alcoholic trappings, moving instead to a familiar blend of musk and amber. At this stage, the scent is at its most stealthy, humming along gently on the skin with hints of vanilla, breezy musks and warm sandalwood. I’d say it’s a bit generic, but I don’t get the impression that First Instinct is trying to be anything particularly unusual, instead it wants to present a juxtaposition of bracing freshness and warm intimacy all at once, a trick that it does quite well, I must say. So what do I think of First Instinct? Well, firstly let me say that the overall aesthetic is really cool. I love the shape of the bottle and the dark steely grey colours make the whole thing feel as though it has been elevated to a level of luxury that is undeniably handsome. The fragrance is an entirely comfortable modern fougère (I’d argue it’s more on the aquatic side than the oriental, if I’m being honest) that’s versatile enough for work, rest and play. The G&T accord up top is novel, adding a bit of liveliness to the overarching subtlety of the scent making for a solid piece of work. Love the sound of the fragrance? 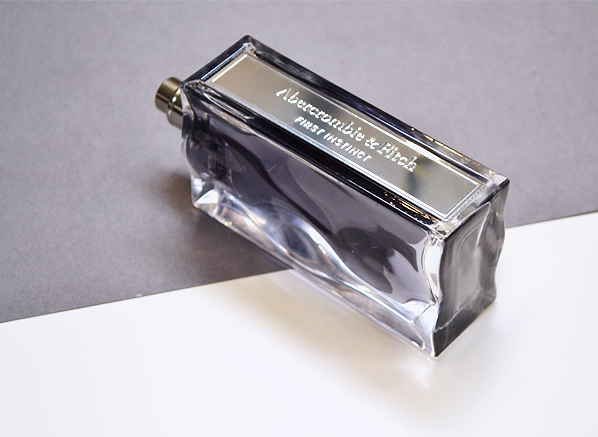 Head over to Twitter – we’re giving away 3 Abercrombie & Fitch First Instinct 100mls! Ends 6th July 2016. Usual T&Cs apply. This entry was posted on Wednesday, June 29th, 2016 at 3:58 pm and is filed under Candy Perfume Boy, Fragrance, Men. You can follow any responses to this entry through the RSS 2.0 feed. You can skip to the end and leave a response. Pinging is currently not allowed.